Carry basecamp-worthy loads with skis to boot, or journey beyond the reach of resupplies. 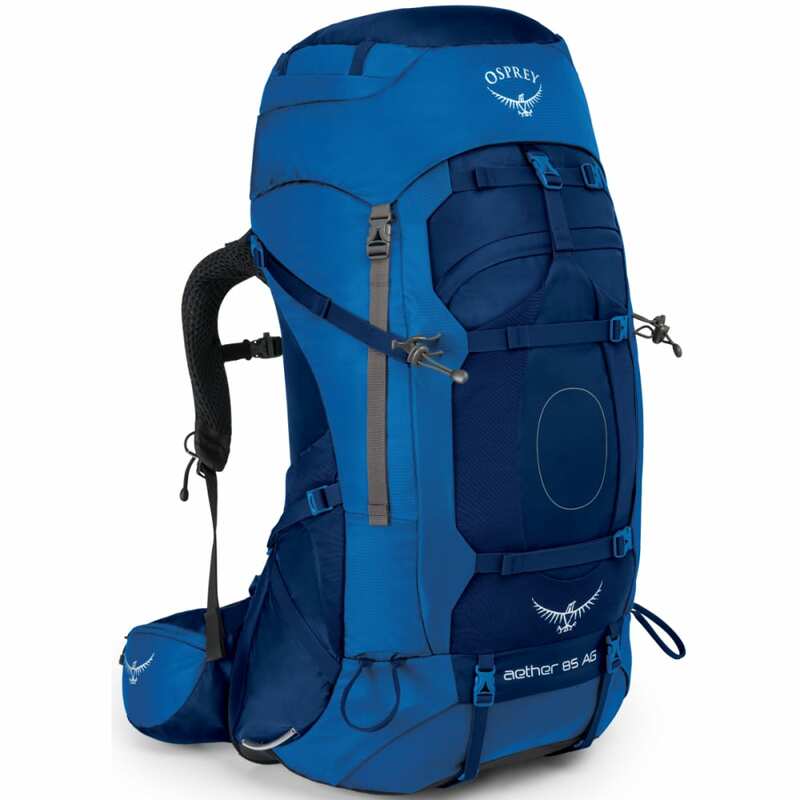 For backpacking, thru-hikes, and alpine expeditions, the Aether AG™ Series has a pedigree like no other pack. 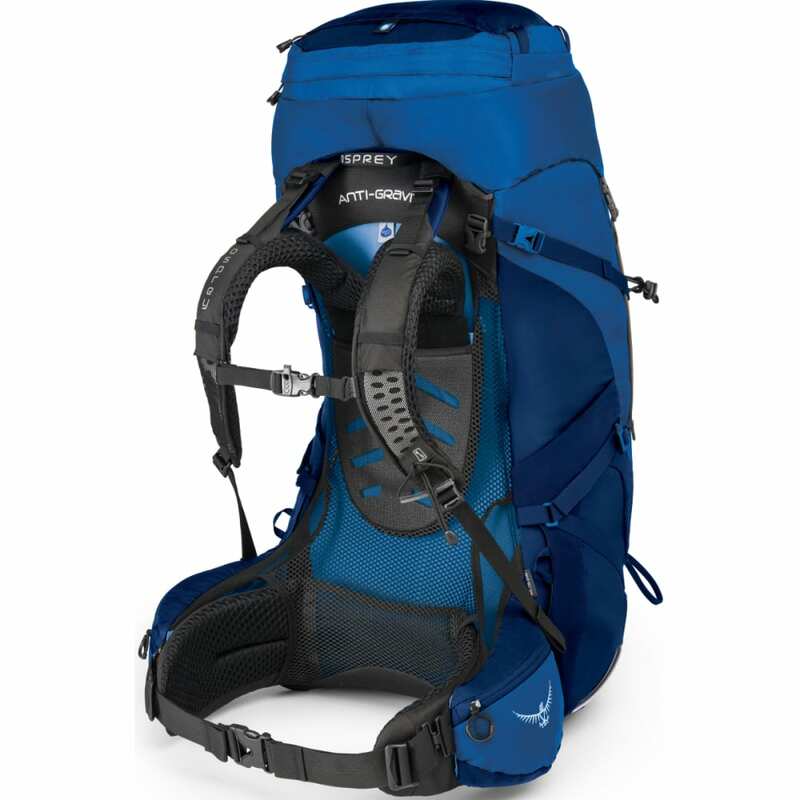 Osprey has set the bar for technical backpacking packs by combining Anti-Gravity™ technology with customizable fit and innovative features, like the new convertible top lid to create a more capable and comfortable pack for long-haul load carrying on any multi-day excursion. When you need a pack that can carry heavy loads for up to a week or for a month, there is no better option than the Aether AG™ 85 pack. Dimensions: S: 32.28H X 16.93W X 15.35D IN. ; M: 34.25H X 16.93W X 15.35D IN. ; L: 36.22H X 16.93W X 15.35D IN. Torso Length: S: 16-19 in. ; M: 18-21 in. ; L: 20-23 in. Weight: S: 5.315 lbs. ; M: 5.368 lbs. ; L: 5.422 lbs.